The year 2013 was an exciting year in terms of travel across India. 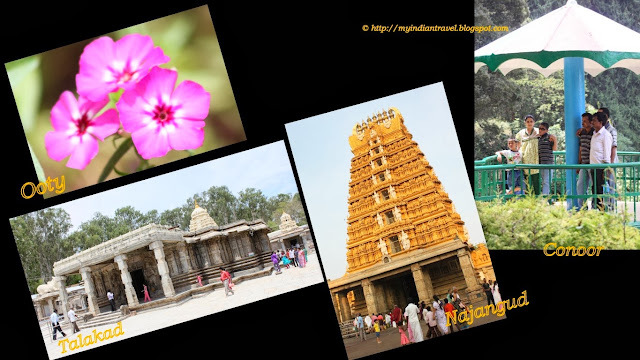 It all begin in the month of April with a trip to Somnathpur, Talakad, Mysore, Najangud, Ooty and Conoor. 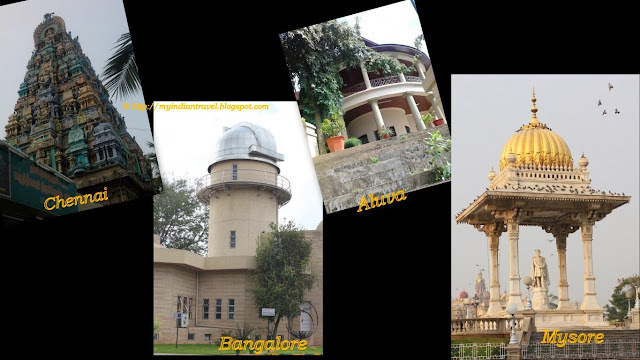 But we did not forget to visit some of the places in my present city of Bangalore. In the month of October we went around Koteshwar, Myladi and Kumbasi in Karnataka. I went around seeing some of places in Aluva and Chennai during my official trip after office hours. Finally in the month of December in a short tour we covered Belur and Halebidu for the umpteenth number. 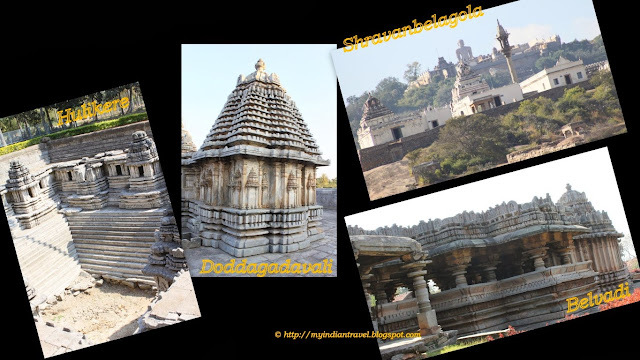 The new places we visited are Belvadi, Hulikere, Doddagadavali and Shravanblegola. Wish you all Happy and Prosperous New Year. You've visited some lovely places this year! Yes, you certainly did a lot of traveling and saw lots of different sites...you're very fortunate. Love your collages. Great shots, great memories. happy New Year! You must be proud of your country with so much history and exotic architecture. I've enjoyed some of the travels with you through your pictures. Lovely images from your visits and tours. Thanks for sharing. Wishing you all the best in 2014, Happy New Year to you and your family! Beautiful images! A very Happy New Year to you! All these are lovely! Thank you for sharing. Have a travel filled 2014! Beautiful collage and crisp summary of exciting travels ! thanks for all the wonderful look at your country and tours Rajesh....Have a fantastic travel New Years for 2014, will be watching your new adventures! Lovely! Wish you great trips for the new year too! Cheers! Happy New Year! Here's to more travels in the coming year. We wish you a pleasant year change. What a wonderful world you have! I love your captures and I do wish I could visit there! Thanks for sharing, Rajesh! Wishing you and your family a very wonderful and Happy New Year!! A lovely collage of shots. Best wishes for 2014. Cute and fun year, I congratulate you for these wonderful travel share with us your great photos! Happy 2014! Leovi. You managed quite a lot of travel this past year...how exciting! Hope you have a great 2014! Thank you for sharing the wonders of your vast country. It has been a fascinating journey. You've had some great trips. Happy New Year! That Lot of travel Rajesh. Beautiful pics! You have traveled so much? Happy New Year Rajesh and thank you for sharing your travels and your beautiful country with us! I love visiting it through your blog. It would be fascinating to visit all these places and learn about their history. Thank you for sharing, Rajesh. Happy and Prosperous New Year to you too!